Lisa Morrison: Wow! Or, should I say "Ow"
Wow! Or, should I say "Ow"
I carry around pain. I know. Not too smart. Why do I do that? I've asked myself the same question only recently when I couldn't ignore that I had been holding on to painful feelings of resentment towards somebody that I actually love a lot. Yes that person said something to me a long time ago, and I felt really hurt by it. Extremely hurt. Even though it was in a moment of time in the past, whenever I recall it, I feel the pain like it was happening right now. Not enjoyable, let me tell you. Our bodies and our minds are very connected. If you recall a memory in your mind, even if it's not happening in real time, your body will respond with the same emotional response you had when it actually happened (whether it was joyful or painful). And you will relive that moment from the past, even while you're in present time. Same thing happens when you're watching tv or a movie. It's not really happening, but your emotions respond to what your brain is attentive to. Now that's the meaning of being in more than one place at the same time. Yes, your body can be here. But if your mind is there (not in the present), then you are in more than one place at one time. Well.....I took it personally. Or maybe I didn't want to look at myself in that way, so I got defensive. So easy to do isn't it? And you know what? There was actually some truth in what that person said. But I didn't want to admit it. That would have made me imperfect. And we all want an A+ in life don't we? Isn't that what we are conditioned to strive for? In school? In our jobs? It's a lot of damn pressure! Enough to make you want to cheat a little, and try to hide your imperfections, or at least deny you have any. This is one of the reasons why I continue to carry around pain. Bottom line. We all want to be accepted. We all want to be loved. So...I'm not perfect. But, I am perfectly acceptable even with my imperfections. However, my emotional body does not always respond to rationality. Nope. So, how do I let go of the painful emotions that are embedded in my body's memory? There are ways. Many more ways than I know of. You need to seek out the body therapy that resonates with you. That you feel relief from. Some of the ones I know of are massage, yoga, acupuncture, acupressure, and most recently, EFT (emotional freedom technique). I have a little bad news for you though. We not only carry painful emotions from this lifetime, we also carry memories from our ancestors - it's in our DNA. So, you've got more than you consciously know going on in there. Yes, our bodies are like a huge database of memories. If you have any pain in your body....backache, toothache, headache, sore neck, cancer...then you have emotional pain, and the pain in your body is a message telling you so. But, the good news is that we are remembering how to heal ourselves, and the tools and skills are at our fingertips (literally, now that we have the internet). 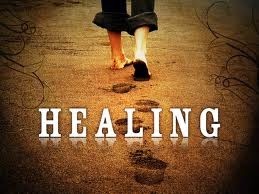 So, take advantage of this knowledge and reserve some time in your life to receive some healing. Even though this sounds like it's about them, it's really about you. Forgiveness has a lot of healing power. These words are a gift to yourself. Use them frequently.